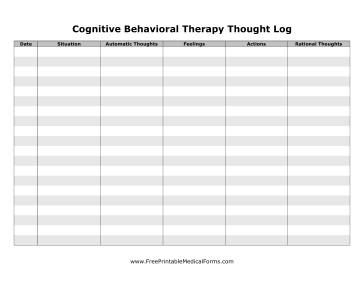 Changing thought processes and automatic reactions is never easy, but it can be easily organized with this cognitive behavioral therapy thought log. By recording automatic thoughts and rational thoughts, a person can learn to change their reactions. This page is useful for therapists and patients alike.